The road ‘dogs each took home wins in the NFC and AFC Championship, setting the stage for a rematch of Super Bowl 36 between the New England Patriots and Los Angeles Rams. But before we jump to a Super Bowl matchup that will be picked apart, analyzed, etc. for two whole weeks, let’s dive into some of the standout names from Championship Weekend. 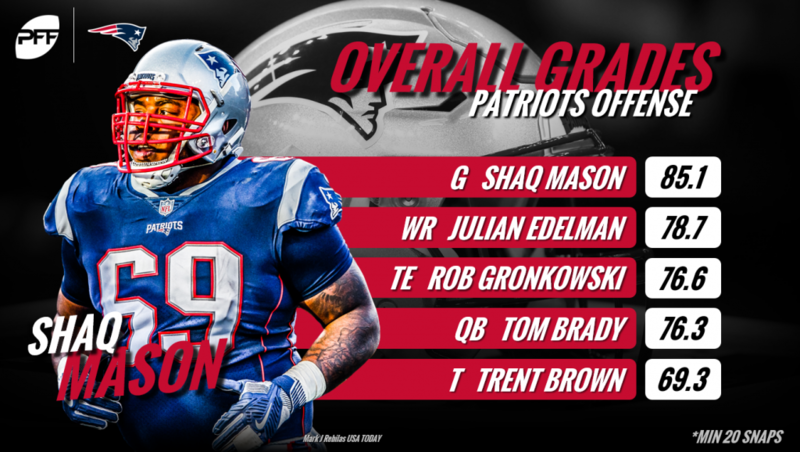 Pats’ Shaq Mason allowed just one pressure in his 46 pass-blocking snaps against Kansas City on Sunday, recording an impressive 98.9 pass-blocking efficiency rating in the process. He was also a road grader in the run game, finishing the weekend with one of the highest run-blocking grades among all offensive linemen. Though he recorded just one sack on the day, Saints veteran edge defender Cameron Jordan was a force on passing downs. 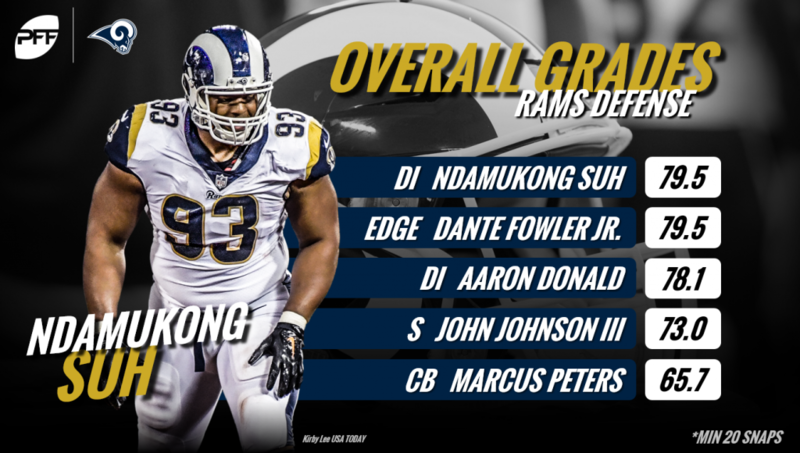 He totaled five pressures and beat his block an additional six times in his 37 pass-rush snaps, recording a 13.5 pressure percentage and weekend-high 29.7 pass-rush win percentage. Eric Fisher allowed two pressures in his 36 pass-blocking snaps, a strong outing by all measures with the Pats’ defense stunting and blitzing all night long. He also finished the game as one the weekend’s highest-graded offensive tackles in terms of road blocking. Though he rushed the passer just 11 times against Kansas City, Pats’ Kyle Van Noy recorded six total pressures on his limited pass-rush snaps, including a sack, a sack-fumble and four hurries. The former BYU edge defender turned New England off-ball linebacker has found his role with Bill Belichick and the Patriots, and he’s thriving in it. Drew Brees didn’t get the win he hoped for, but he turned in a quality performance, doing nearly everything needed to send his team to the Super Bowl. From a clean pocket, Brees earned an impressive 104.4 passer rating, completing 21-of-32 passes for 206 yards and two touchdowns in the process. Dante Fowler Jr. has found new life in Los Angeles, as the former Jacksonville Jaguars first-rounder has taken several step forwards since joining the now Super Bowl-bound Rams via trade earlier in the season. Against New Orleans, Fowler recorded a 12.2 pass-rush productivity, picking up four total pressures and five additional pass-rush wins in 41 pass-rush snaps.